People who like to read science fiction all know about a mythical list of books, that you must read. This list allows us to share a common experience which we can then use to recommend other books to each other. For example the book Ringworld by Larry Niven would be considered part of this mythical list of science fiction books or canon. Ringworld introduces us to an artificial world of mind boggling proportions. This artificial world is similar to a Dyson sphere (see more here): but instead of enclosing the entire system, it's a huge, ring-shaped planet that was built rather than something that occurs naturally. Unlike a planet which is a rock that orbits the sun, the entire orbital area is inhabitable! As a fan of science fiction this is something that I want to read about and explore. Here's where the use of this mythical list comes in handy. Ringworld has had a huge impact on our culture and it has helped to generate a multi-billion-dollar industry. Did you know the Ringworld planet inspired the popular Xbox Halo game series, along with other books like Iain M Banks' Culture series and Alastair Reynolds' House of Suns. So when science fiction readers get together to discuss books we make recommendations by pointing to other books on this mythical list and comparing them to the book we're recommending. Have you read Helix by Eric Brown? Most people haven't but if I said 'It's similar to Ringworld' you now have an idea of what to expect. 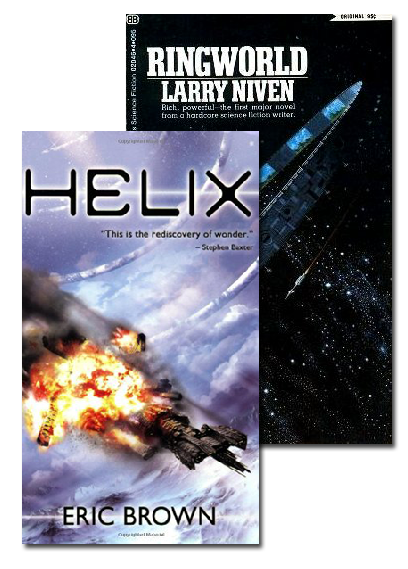 If you loved Ringworld you’ll be interested in Helix. 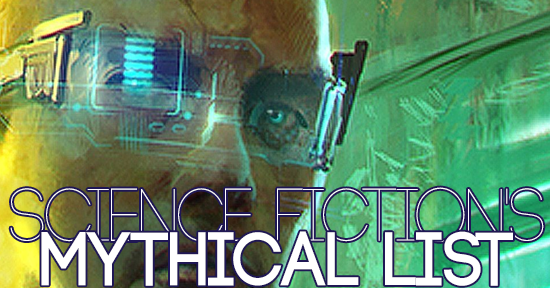 If you want to know more about this please take a look at an older article (and video) of mine titled: Does Science Fiction Have A Canon?